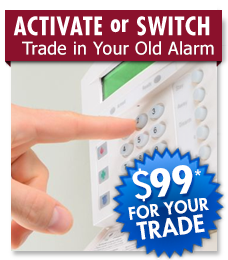 Next day home alarm system installation subject to availability in your area. Monitoring starts at $19.95 per month ($718.20). 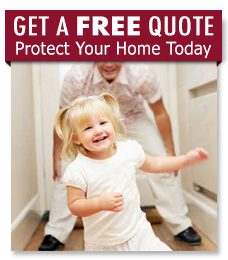 Monthly payment must be made by homeowner's credit card or electronic charge to homeowners checking or savings account. Local permit fees may be required. Satisfactory credit history is required. Certain restrictions may apply. Other rate plans also available. Cannot be combined with any other offer. 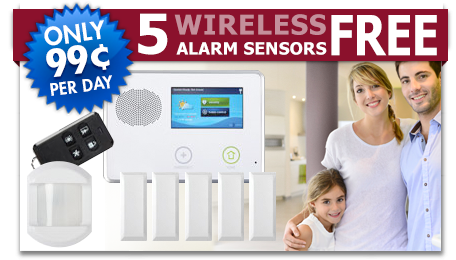 Actual home security systems may vary from the items pictured.Your privacy is a priority to us! By submitting this form, you are requesting more information and are under no obligation to make a purchase. We respect your privacy and hereby assuring you that your personal information is completely secured with us and will remain absolutely confidential.